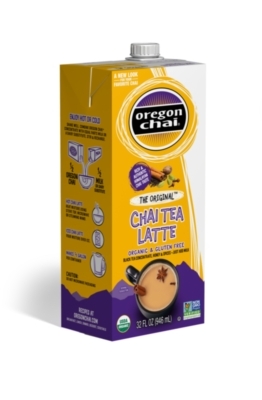 Oregon Chai�s The Original Concentrate is exactly what it says; their original recipe, in a liquid concentrate. Whether you prefer your moment of Chai-infused bliss to be one of warmth, or cold and invigorating, you�re only seconds away from the bold taste of America�s first authentic Chai. An Original Chai Tea Latte contains approximately 30-35mg of caffeine per serving, which is comparable to a lightly brewed cup of black tea. Product requires refrigeration upon opening.